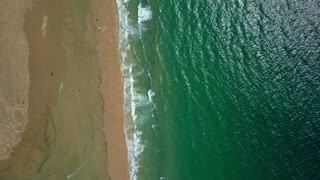 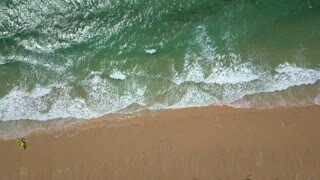 From above shot taken with drone showing green wave of ocean running on sand of tropical beach creating splashes and foam. 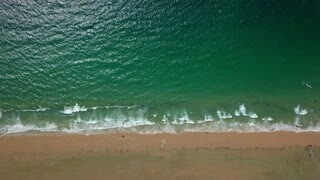 Aerial shot from drone of sandy beach in tropical sunlight washed with ocean transparent turquoise waves in summer day. 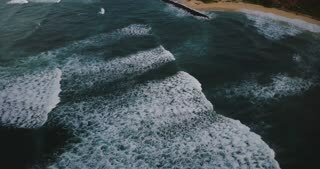 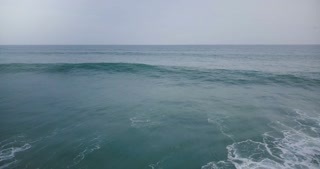 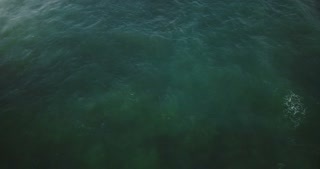 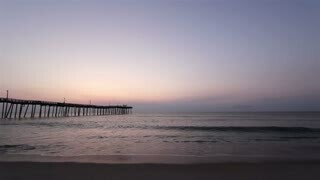 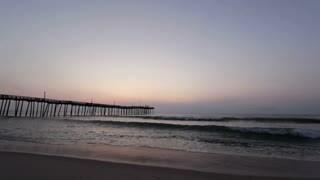 Aerial drone shot of big dark blue ocean wave passing by camera and crashing with white foam, cloudy stormy horizon.